Boron nitride is a promising material for nanotechnology applications due to its two-dimensional graphene-like, insulating, and highly-resistant structure. Recently it has received a lot of attention as a substrate to grow and isolate graphene as well as for its intrinsic UV lasing response. 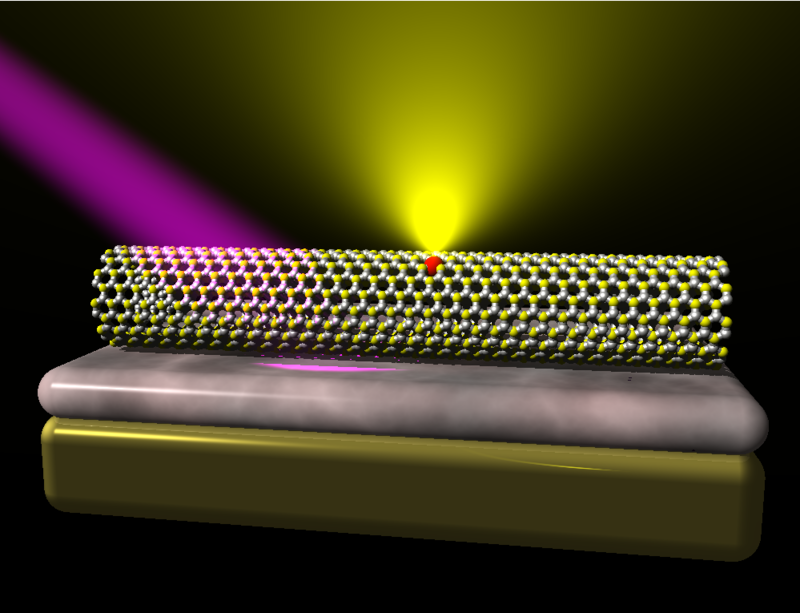 Similar to carbon, one-dimensional boron nitride nanotubes (BNNTs) have been theoretically predicted and later synthesised. Here we use first principles simulations to unambiguously demonstrate that i) BN nanotubes inherit the highly efficient UV luminescence of hexagonal BN; ii) the application of an external perpendicular field closes the electronic gap keeping the UV lasing with lower yield; iii) defects in BNNTS are responsible for tunable light emission from the UV to the visible controlled by a transverse electric field (TEF). Our present findings pave the road towards optoelectronic applications of BN-nanotube-based devices that are simple to implement because they do not require any special doping or complex growth. 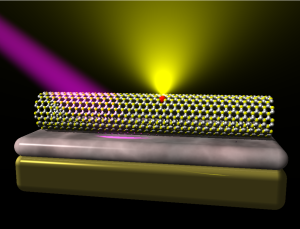 This entry was posted in publications and tagged Bethe-Salpeter, boron nitride, defects, GW, luminescence, nanotubes on 24/09/2013 by attacc.